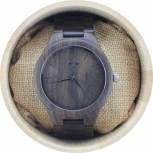 This Rosewood Men's Watch from Angie Wood Creations offers the best of both worlds with its dual-effect adjustable rosewood and stainless steel wooden bracelet. 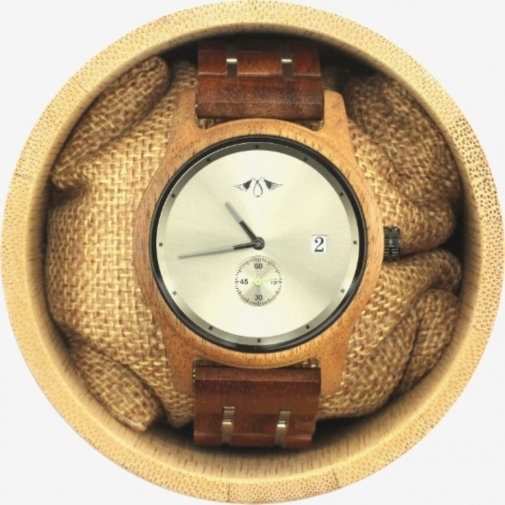 This masculine looking wooden watch with its clean lines and streamlined design strikes the perfect balance between professionalism and practicality. 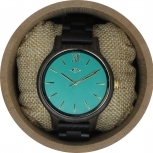 CONTEMPORARY APPEAL: The premium Rosewood Men's Watch from Angie Wood Creations is particularly appealing due to its contemporary outlook and modern charismatic touches. 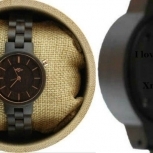 The shine and sophistication of the stainless steel watch face will guarantee 100% customer satisfaction and an abundance of smiles. 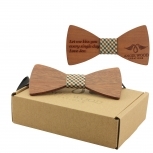 ADDED EXTRAS: The artisans at Angie Wood Creations have gone out of their way to ensure that the design surpasses the demands of the watch wearer. The Rosewood Men's Watch is no exception and features a superbly placed date window and subdial to effortlessly count the seconds. 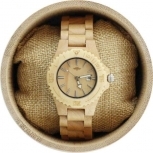 If you are looking for an ideal gift for your loved ones, then this wooden watch will win them over in an instant.